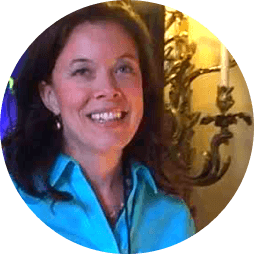 Through Dr. Erwin Consulting, Dr. Brigette Erwin brings strategic conceptualization, clinical psychology, behavioral science, and more than 20 years of experience to sales, corporate growth, and personal growth. Dr. Erwin Consulting is located in Malvern, Pa. a Main Line suburb of Philadelphia. Success is about mastering the psychology and business behind influence and sales. Psychologist and successful business developer and owner, Dr. Erwin combines real world experience with the science of psychology to transform corporate cultures, personal lives, and to find the common ground between corporate strengths and the market conceptualization. Clients are coached in strategies to maximize performance and revenues, expand leadership capabilities, reduce stress, increase confidence, teach conflict resolution and communication skills, strengthen emotional intelligence, navigate career transitions, and maximize professional potential. Departments and organizations from pharmaceutical companies, universities, hospitals, financial institutions, and consulting companies. Erwin, B.A. Interviewed by Suzanne Monaghan, Anchor/Reporter. “Body Dysmorphic Disorder and Social Media,” KYW Newsradio, January, 2019. Catholic Radio Network, November 1, 2018. Erwin, B.A. Interviewed by Melissa Jacobs, Associate Editor. “How to Talk to your Kids about School Shootings, Mental Health, Suicide, and More,” Main Line Today, September, 2018. Contact us today to arrange any of these services. We look forward to working with you! 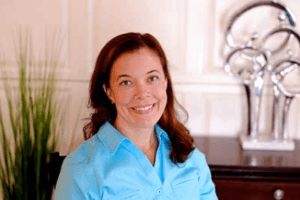 Dr. Brigette Erwin is a clinical psychologist, speaker, and author. She served as director and associate director of several top Philadelphia-area specialized anxiety disorder treatment programs, before founding and directing one of the Philadelphia region’s largest practices specializing in the treatment of the anxiety disorders. Dr. Erwin received her Ph.D. from Temple University and completed a National Institute of Health postdoctoral fellowship at the University of Pennsylvania, School of Medicine. The quality of Dr. Erwin’s work and her dedication to the study and treatment of the anxiety disorders have been recognized with awards from the Anxiety Disorders Association of America, the National Institute of Mental Health, the Medical University of South Carolina, Temple University, and Boston College. Dr. Erwin was recently honored as a 2017 Woman of Influence (Main Line Today). Brigette comes with more than twenty years of experience working one-on-one with clients to develop a targeted conceptualization and solution to meet and exceed personal and professional goals. Clients receive personalized strategies in person, via Skype, and over the phone. Brigette conducts uniquely tailored workshops, presentations, and keynote speeches. Her presentations deliver practical skills, insights, and the motivation to succeed. 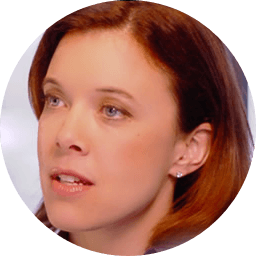 Psychologist and successful business developer and owner, Brigette combines real world experience with the science of psychology to transform corporate cultures, personal lives, and to find the common ground between corporate strengths and the market conceptualization. Check out Dr. Erwin’s recent presentation video on Effective Evidence-Based Interventions for Anxiety in Students. Coaching for Calm and Confidence™ can help you create change that eliminates worry, anxiety, and unhelpful relationship patterns that keep you from enjoying a full, active, and happy life! We use Skype or phone consults. We serve the Western Main Line, Chester, Delaware, Montgomery, & Lancaster Counties. Our office is easily accessible from the PA Turnpike, Route 202, Route 100, & Route 30.